If you can’t make it to Munich this year, never fear: you can celebrate Oktoberfest right here at home, and support your local legion at the same time! 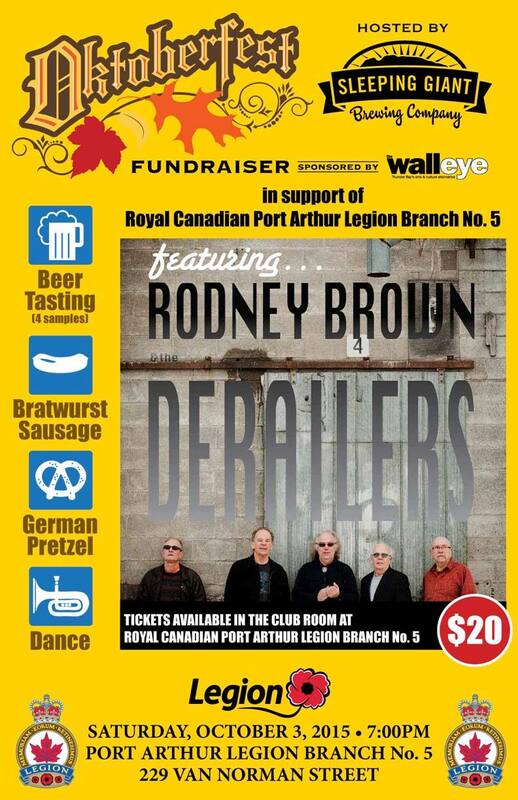 Hosted by Sleeping Giant Brewery, the Royal Canadian Legion Port Arthur 5 Oktoberfest features all the staples of the annual German holiday: bratwurst, pretzels, music, dancing, and of course, beer! Rodney Brown and the Derailers will be providing the tunes, so bring your dancing shoes and get ready to get down. Tickets are $20 each; call or visit the legion for details. Festivities begin at 7 pm. Prost!